Rated 5 out of 5 by yelwbkrd35 from Bravo! Bravo! This is an adventure game beyond compare. I had so much fun playing this game. 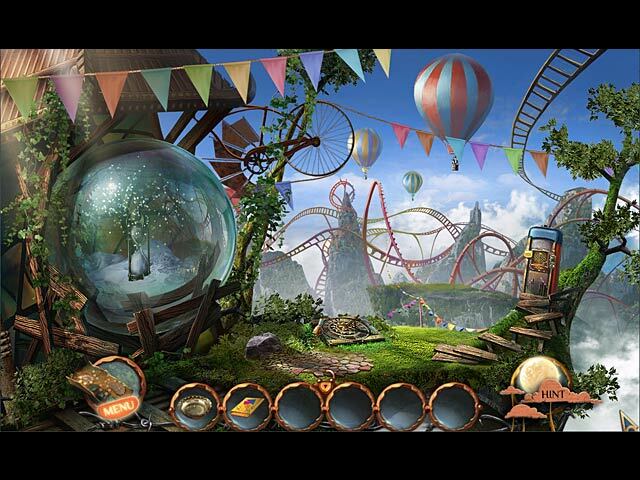 It is a "thinker", beautifully done and sets a new high standard for adventure games. This is a must have for adventure gamers! 5x10 fins up. Rated 5 out of 5 by Cherubabies from Simply Superb! I couldn't get over how beautiful these Game Graphics were. Exquisite in every detail! Music was beautiful and well suited to the Game. I love the Haunting Theme. The Storyline was a little vague to me and I couldn't really get into it. The Hint button could have been better and shown you where to go next. Apart from that, simply Superb! Rated 5 out of 5 by stellablue7 from Love this. Very different and TONS of puzzles Not a lot of hidden picture games which I loved, and lots of puzzles, some unique. Loved this game! Rated 5 out of 5 by bubbyc from Unexpected Gem What an amazing game!! I didn't play the first game in this series and you don't need to in order to understand and play the sequel. I didn't even really care for the first 15 minutes of the game and almost didn't buy but just wait until you get into the meat of the game. It's a really cool story. The graphics are just beautiful. I think the developer got the game difficulty just right. The puzzles are really fun. I loved collecting the origami birds. Finally, the bonus chapter for this game is one of my all time favorite bonus chapters and I have played lots of games!! This is money well spent. Go play!! Rated 5 out of 5 by bloom2diaspro from WOW!!! What a Game!!! I really enjoyed this game, this was a really wonderful game. It's a bit dark and spooky at first but then it gets really good and I bet everyone will enjoy this game. TOTALLY WORTH THE MONEY!!! Rated 5 out of 5 by netnanna from Unusual, reminiscent of Return to Ravenhearst, A lovely game, I loved the mini games reminiscent of the door puzzles in Return to Ravenhearst i.e. work out what to press, fiddle with, to get results, I enjoyed this challenge. I also enjoyed the break from dark and sombre, which was achieved by entering pictures to new bright worlds. The HO scenes were enjoyable too, every item depended on doing something first e.g. putting sunglasses on dino so he couldn't see you take something. Graphics, story, music all of good quality. An all round excellent re-playable game. Rated 5 out of 5 by Debbie66 from Exellent Just loved it, great fun, something a bit different and entertaining. Rated 5 out of 5 by Billybadass4018 from Really enjoyed this game. I loved the first one so much that I didn't hesitate to buy the second with even trying it first. I was not disappointed when I began playing. The graphics are just beautiful and I even put one of the wallpapers on my computer screen. The story is so unique and I love the storybook paintings. They're always full of such unique worlds and characters. I loved the map and instead of having a journal you had event cards. The origami collectibles is something I really looked forward to and was not disappointed. The music was very nice to listen to while playing. I'm always so captivated by the game that I don't want to stop playing. overall it was a very enjoyable game. If we're lucky they'll come out with another or at least another wonderful series. Rated 5 out of 5 by codom from Outstanding! I'll add my agreement with most of the other reviews. This game was an astonishing surprise. It's great in pretty much every way. This developer has "grown" a lot since the first Nightmare Realm. I wish some of the others (who've been around a lot longer) would take a page from these guys! You won't go wrong with this game. Kudos again to the team that created it. Rated 5 out of 5 by hannekepanneke from wonderfull game with very nice puzzles I think this game really is the best after 1000 doors. Long play and many good puzzles. The hidding objects are less than normal, so that was good! Rated 5 out of 5 by Torpedo1 from Very Rare Hauntingly beautiful game. First it is not a kids game. Too spooky. I love spooky, but to my surprise it took me on what felt like a spiritual journey. I have never felt a game that made me feel spiritual in a small way. The graphics were so beautiful. This game does take patients for all the little bits of reading through out and you need your thinking cap on, but some scenes were so peaceful and the music was perfect. The HOs were a little bit hard and the hint button really was no help. It told me what I already knew I needed to do, but not hint at the area to find what I was looking for to accomplish the goal. This game goes right up with my favorites list and a must have. Can hardly wait to buy this one. Rated 5 out of 5 by pgillenw from I Love Weirdness Sprinkled With Beauty No need I suppose for yet another review but what the heck I will give one anyway. I am amazed at the creativity. The entire team must have had the same nightmare and then before awakening the nightmare righted and the dream turned to a magnificent fairyland. Well for now anyway but Extractor is still looming and I am sure will return. Good work! Rated 5 out of 5 by MARIBELB from Excellent game, beautuful graphics and unusual gameplay If you like Drawn and appreciate beautiful graphics then this is the game for you. 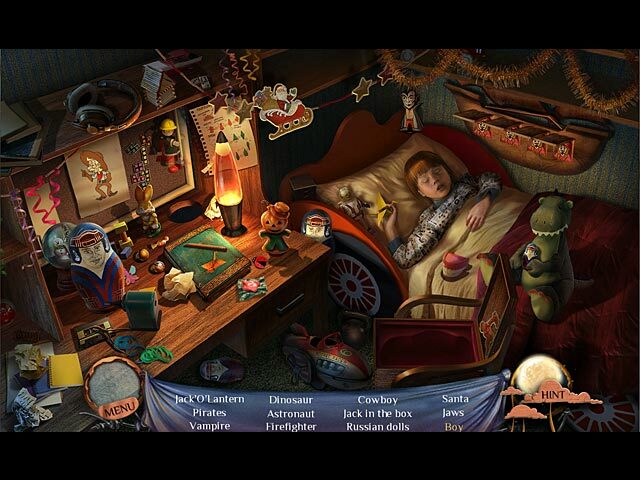 The minigames are challenging and interesting, the story makes sense and keeps your attention. Generally it is different from many of the games now available and that is welcome. I'm surprised it hasn't done better in the chart, I wouldn't hesitate to recommend it. Rated 5 out of 5 by trinity37373 from Beautifully Done The graphics one of the most beautifully done. The story was amazing, it kept me immersed the whole time. The game play went smoothly right along with the story. It never felt clunky or too much of any one thing. I hope they keep cranking out games like this one. Bravo Big Fish! Rated 5 out of 5 by karen18670 from Wow! Wow - I could not stop playing this game! It is so interesting and fun, it's really hard to take a break from it. The game is very different and creative. Thanks and kudos to the developers! Rated 5 out of 5 by Timepassage from Nightmare Real - In the End Great, realy a great game and I loved to play. Rated 5 out of 5 by zandu2 from Excellent!! 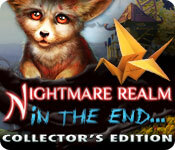 Nightmare Realm - In the End Collector's Edition Is much better than the first game. The story line is strong and not to many HOD. I love it that way and it's fine by me. If you are interested in the game i suggest to get the SE. I felt that the bonus game is really not needed. It does not add on to the game itself. I feel that the game will not be a disappointment to you, it is over all a very pleasant to play. Rated 5 out of 5 by Texasartist from What a great game I have savored playing this game, and drug out the entire collectors edition for several days as I just did not want it to end. It has a unique story line, amazing sound effects, beautiful art and was really cleaver. I am writing this review, even though there have been many reviews written now, to just say bravo to the makers of this game. It was one of the best games of 2012 though it came out on the last day of the year, and was not in the running for an award. Adventure fans, this is one to buy. Rated 5 out of 5 by s_sgs from They Hit it Out of the Park! New Favorite, I'll tell you why BASED ON COMPLETED GAME IN NORMAL (2ND of 3 MODES) "NIGHTMARE REALM: IN THE END" sets a new standard that will be tough for other games to follow. This is the highest rating I have given any game in a year. I highly recommend this game to folks who like adventure, a light but very imaginative and unique sprinkling of HOS, and solid mini-games of easy to light-medium difficulty. The Details: GAME STRUCTURE/CONSTRUCT: Very intuitive, with actions and scenes tied in to unraveling the mystery. No junk pile or gratuitous HOS or mini-games. Just a game built around a unique storyline. "My Kingdom for a bottle opener!". This will make sense for those who have completed the game.... :) MAP-- Yes, there is a map that shows active areas, the player's location and "information cards" that become available throughout game play as well as other special cards with info unlocked as associated collectible origami are picked out in most scenes. The map did not allow jumping to locations. JOURNAL-- No, given that details are available at any time via the map, one was not necessary. It was have been nice for reference so I didn't have to rely on my own penmanship with Runes & other detail needed for mini-games. INVENTORY-- Allowed lock/unlock so the bar could be dropped when not needed giving more real estate on screen. This eliminated the sea-sickness of the bar popping up and dropping based on cursor movement. With the exception of one item, most of the inventory is used shortly after collection. SPARKLES-- In NORMAL mode there were few sparkles- YAY! However, there are heavy duty black bar hints so I later wished I had chosen the hardest mode but there was no opportunity to change this after game start. HOS-- These were few in quantity but top-notch in quality. They were creative, whimsical, fun, and expertly done from beginning to end. They varied from the traditional in several ways using techniques that I have not come across before, such as "clearing a room" of noisy items through a lot of interaction. -best to let the gamer discover for themselves what this is all about. MINI-GAMES-- A good number of these, some original, some variations on what we've seen in other games. All very well designed, creative, fun, and clever. Difficulty varied with most easy and some light-to medium difficulty. MUSIC-- Appropriate with good variety that suited the scenes. I turned it down though as it was distracting. GRAPHICS-- Superb. As with the previous Realm, the worlds created are unique, detailed, whimsical, and beautiful to the last detail. Vibrant colors, unique creatures, and luscious scenery. No complaints on that score. STORYLINE-- The storyline is immediately engrossing, compelling, and enjoyable, right until the end of the main game. At first it appears that it is a simple and well-worn theme of a woman setting out to save first her daughter, then her husband. This turns out to be one facet of a more complex mystery that is gradually uncovered. BONUS GAME-- Bonus play seemed to be a prequel and not as enjoyable. The "prequel" content was included in unraveling the mystery in main game play so bonus play meant going through what we learned had happened to see for ourselves - A little Deva-Vu and not for me. COLLECTIBLES/AWARDS--There are 36 Origami creations to collect throughout the main game. It takes 6 to open each of the special "locked down" information cards. Finding the Origami was a lot of fun and some were pretty darned clever. I did not find a place that showed achievements. STRATEGY GUIDE-- Very well done & (I love when they do this) it kept track with game play, so no thumbing through chapters accidentally seeing unwanted hints and answers before finding the right place. LENGTH OF GAME - Some have complained that game was short. Maybe it was. I was so engaged I didn't keep track of the time and for me the quality of game play ranks much higher than quantity. - Ever notice some games toss in piles o' shoddy HOS and repetitive mini-games which adds an hour or two but isn't particularly fun? DISLIKES? Not really any. More like pet-peeves. MAP should have allowed jumping to locations. A game of this caliber should have this feature. Navigation was not difficult due to layout and game flow, but it would have saved some back & forth towards the end of the game. JOURNAL would have been handy to save the few times things needed to be written down in prep for a mini-game. PLACING OBJECTS FROM INVENTORY-- A number of times getting the game to accept objects from inventory was difficult. It was a matter of persistence & positioning. It irked me because a couple of times I resorted to the SG thinking I was on the wrong track. -Nope. The game was just very picky. Hopefully this explains what for me is an uncommonly high rating. The designers and entire team involved deserve Kudos for their innovation and jobs well done! I also hope others get the same level of enjoyment I did while playing this wonderful game. Rated 5 out of 5 by LosAngeHell from Kudos to Creativity and the Spirit of Adventure: Kudos to Creativity and the Spirit of Adventure: I am glad to see this game uses imagination and many new ideas. These talented artists, writers, developers have imagined a different world of unusual images and themes. Lots of surprises to keep me challenged. A FUN game. This one is unique as most games use the same old tired storylines, games and graphics as though they borrow elements from other games. A big round of applause to you developers! Thank you. Rated 5 out of 5 by krystal59 from Better than the first Wow amazing.. I thought we would never find another but here it is. Epic adventure with a great storyline, gorgeous artwork, inventive, imaginative and just downright fun. Comperable to the drawn series and that's a tall order. Collectible oragami with story cards to go along with. Loved the rolling dice that signalled a card with more background story. Loved all the puzzles. The making of doors, faces and spray painting postmen. You must enter into several paintings to right things as well as travel through a dark and dangerous world to save your husband from execution. Fabulous. This is a must play for anyone who loves a good story and some great puzzles. Even the adventure play and inventory objects are imaginative. Very good. Loved it. 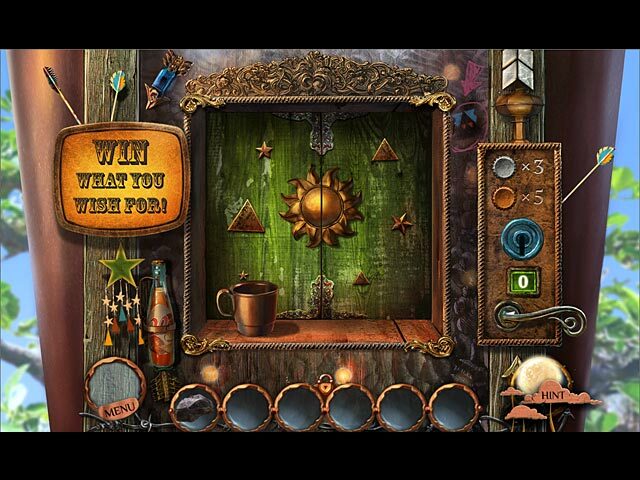 Rated 5 out of 5 by candy_woman from "pulls you in" hidden object game You don't want to leave the game....graphics were off the chain!!! Everything about this game is on hit!!! YEP!! Rated 5 out of 5 by RevRose from Thoroughly enjoyed this thought provoker I bought the original Nightmare Realm on spec and based on good reviews last year and was very pleasantly surprised. This is an excellent follow-up. Like the first game, this also has a surprisingly dark theme, but the approach is eerie rather than gooey. The characters are well developed and engaging and I genuinely wanted to know what happened to them. The main game story ends satisfactorily, with the bonus chapter adds some interesting back story. I don't play with sound on, so no comment there. While not overly challenging, the puzzles are interesting, well integrated and beautiful. They all added something to the story as well - rather than feeling like random filler. For HO hunters, there isn't a vast amount, but what there is is good. The best of the HO scenes are highly interactive and found in the bonus chapter. Overall it looks and plays a treat. Some thinking is required, but the story and the graphics held me happily captive and I will be replaying. Rated 5 out of 5 by stindle from enjoyed alot!! I really enjoyed this game and it was different than so many of the others that are just repeats with a different name! Rated 5 out of 5 by gskremser from One of my favorites! This is a great game and I highly recommend it to anyone who enjoys a good story, great graphics, fun yet not overly easy puzzles. I am really glad I bought this one! Rated 5 out of 5 by beckykay from this game has it all!!! Every now and then a game comes along that has it all - and this is the one. The graphics are extraordinary, the storyline engaging, the puzzles challenging (skip button helps too) - this intelligent, enormously creative game is pure pleasure to play. A ginormous thank you to the developers - you've done a superb job with this one. Games like this are rare, but most definitely worth the wait. Thank you thank you thank you.